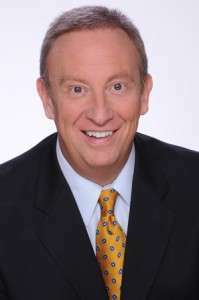 Mike Gallagher – is one of the most listened-to talk radio show hosts in America, recently having been ranked #10 on the Talkers Magazine “Heavy Hundred” list – the 100 most important talk radio hosts in America. Talkers Magazine reports that his show is heard by over 3.75 million weekly listeners. Mike is seen on Fox News Channel as an on-air contributor. He’s also a best-selling author: Surrounded by Idiots: Fighting Liberal Lunacy in America (William Morrow) and 50 Things Liberals Love to Hate (Threshold), a humorous, insightful romp about the many things liberals seem to hate. Perhaps his greatest passion involves supporting the law enforcement community. His charitable foundation “Gallagher’s Army: Fallen Officers Fund” provides assistance to the families of police officers killed in the line of duty. Generous donors have contributed over $1.4 million dollars while helping hundreds of families. “The Happy Conservative Warrior” is one of the most consistently popular hosts in America.